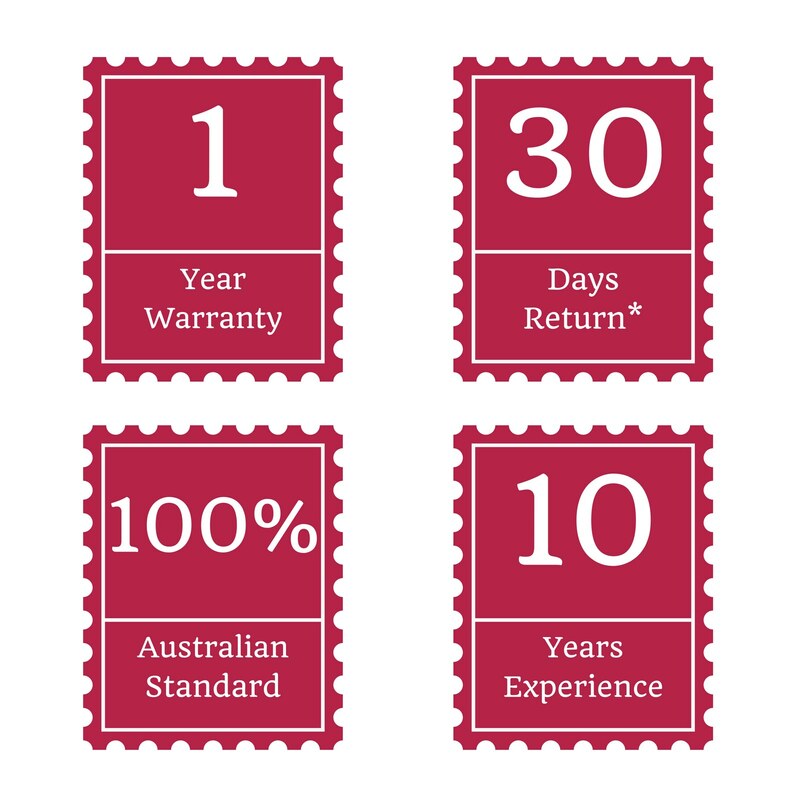 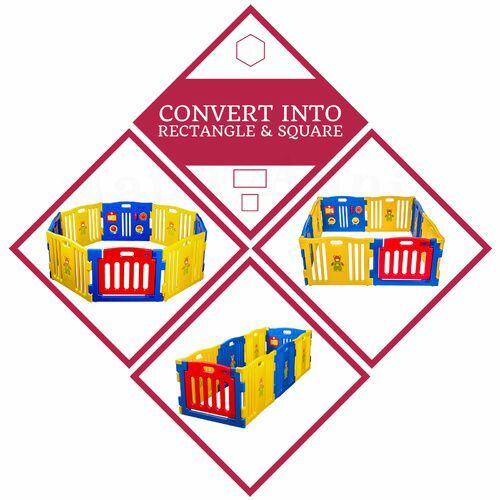 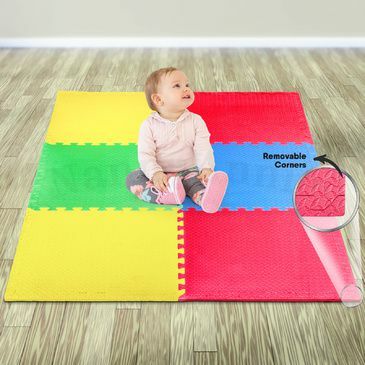 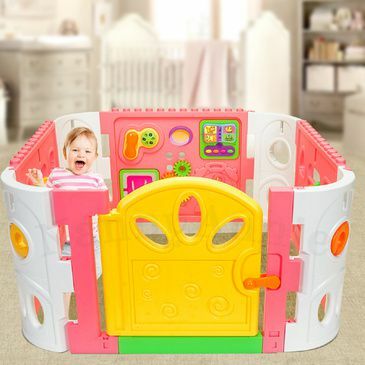 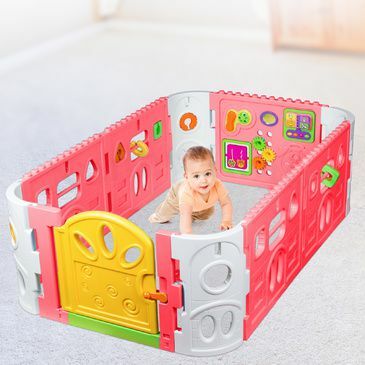 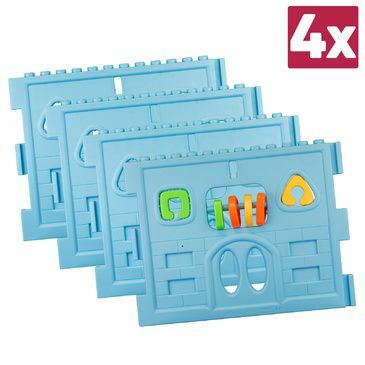 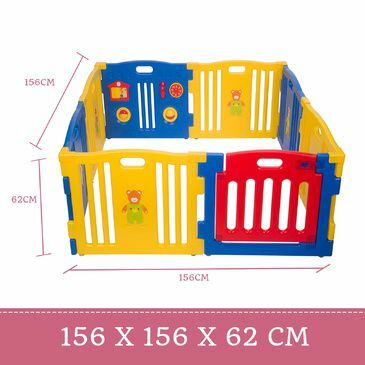 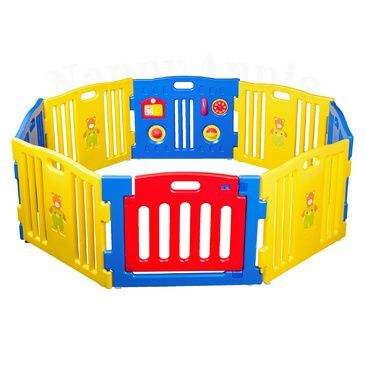 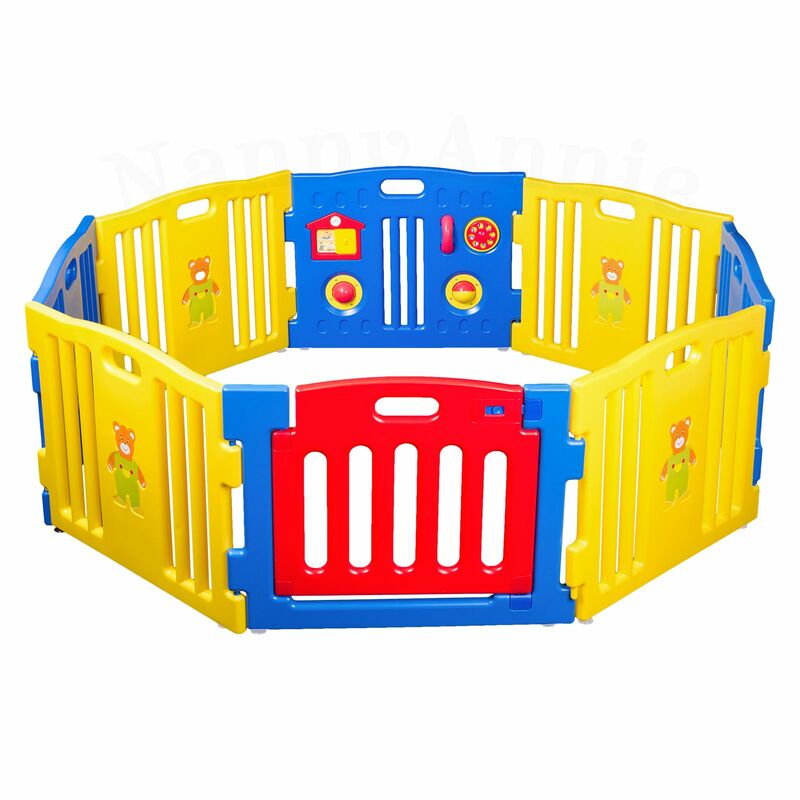 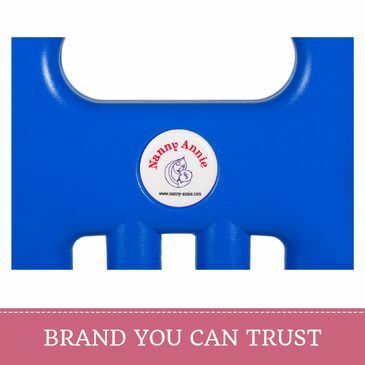 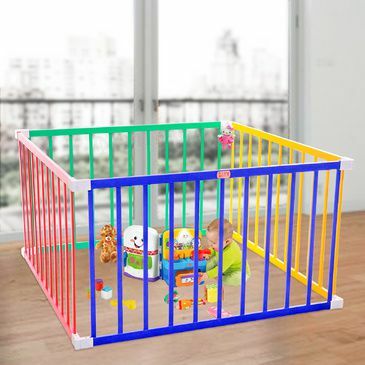 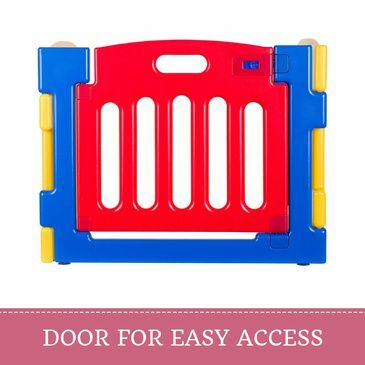 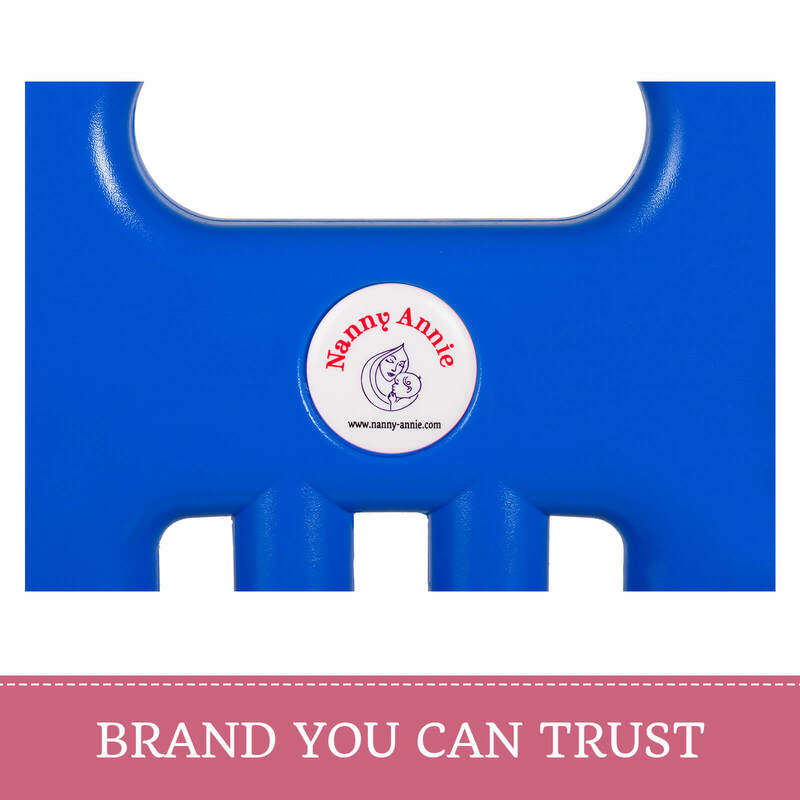 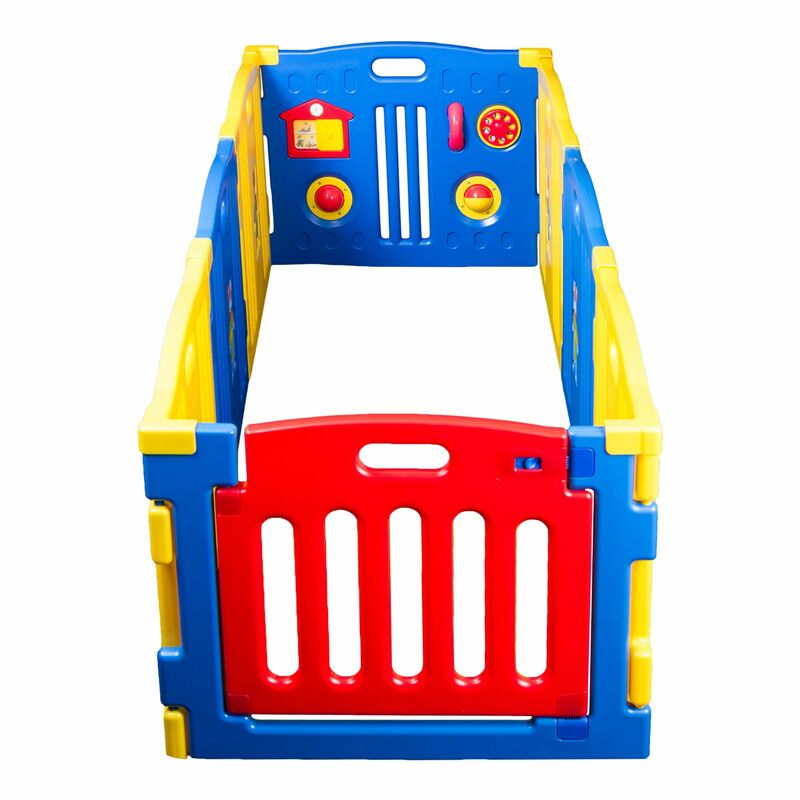 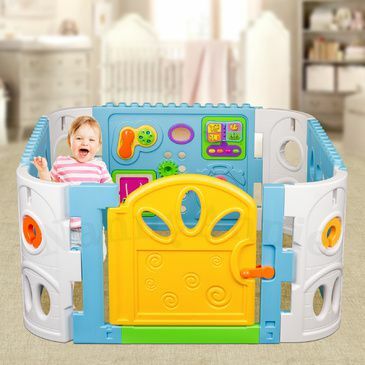 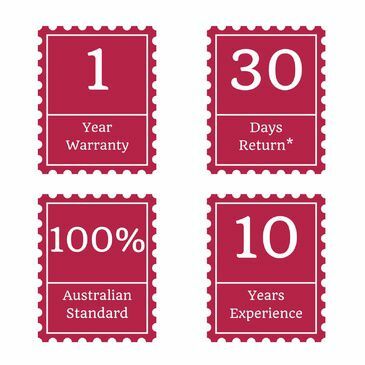 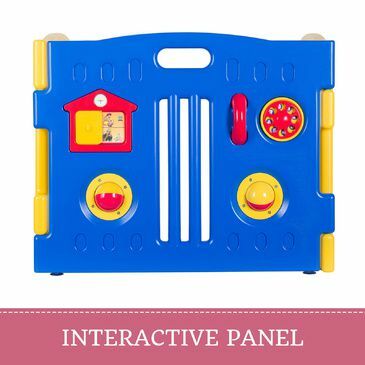 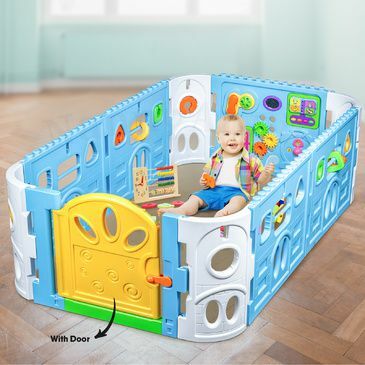 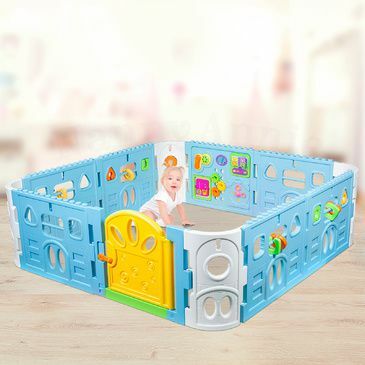 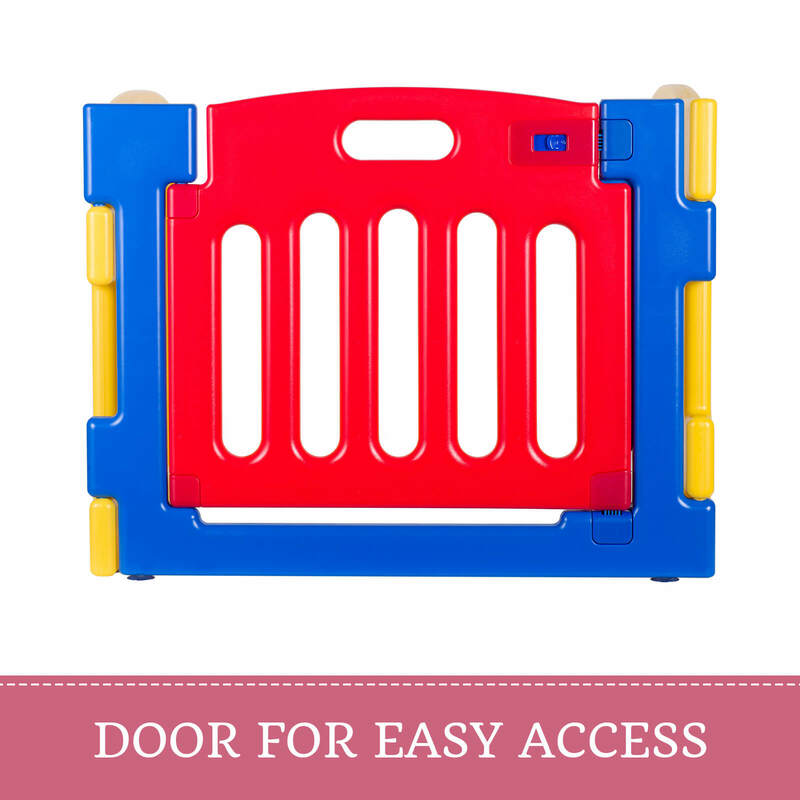 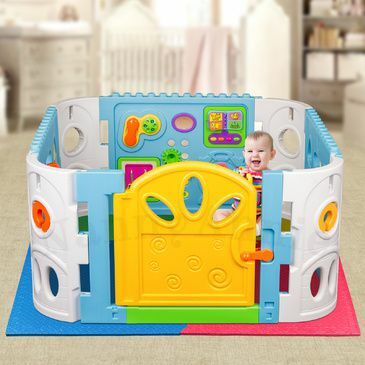 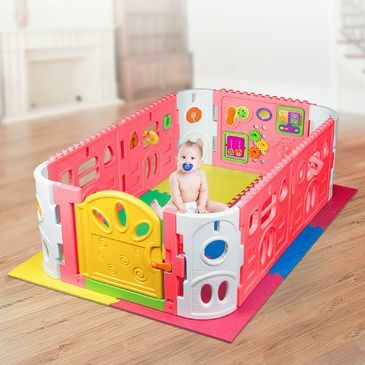 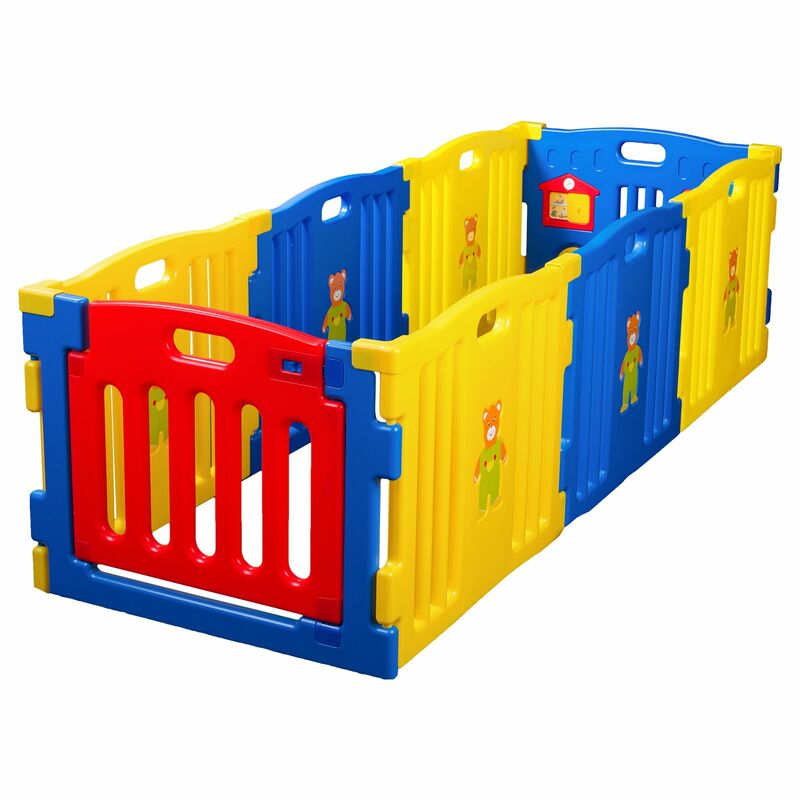 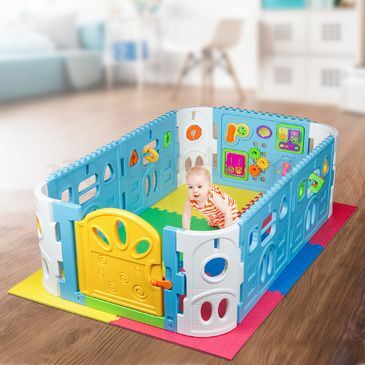 This, easy to assemble Playpen, comes with 8 colourful sections that interlocks, making the structure very stable. 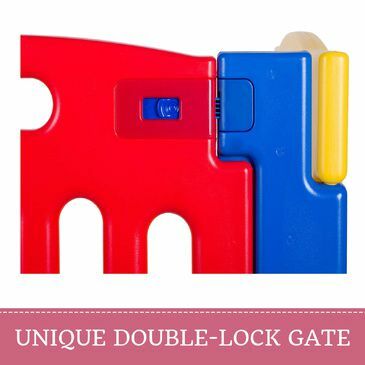 The unique double-lock gate keep the little ones safe inside. 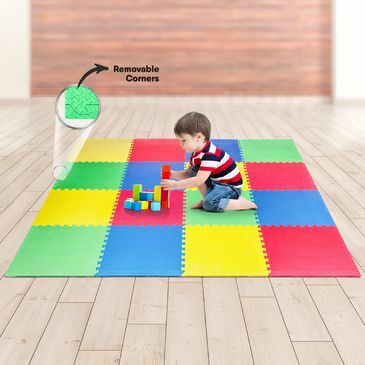 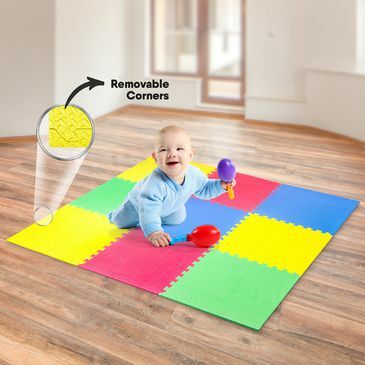 It is suitable for all types of floors, on hard floor surfaces the suction cups help to keep it from sliding.